Volkswagen said it will be able to post better-than-expected profits when it reports results next week, despite the costs and other problems associated with its diesel emissions scandal. The company said it expects to earn 7.5 billion euros, or $8.3 billion, for the first six months of the year, not counting costs pegged to the scandal. And it said it is setting aside another 2.2 billion euros, or $2.4 billion, to deal with those costs, which is far less than the 16 billion euros in charges it had previously set aside deal with the scandal. Shares of Volkswagen (VLKAY) were up 5% in Frankfurt trading on the news, although they are still down nearly 20% since the start of the scandal last September. Global sales of Volkswagen cars and trucks have eked out about a 1% gain in the first five months of the year, despite the scandal. May sales gains were even stronger, a sign that the automaker is starting to put the diesel scandal behind it. Its U.S. sales have been down 7% in the first half of the year, although the United States accounts for only about 5% of its global sales. 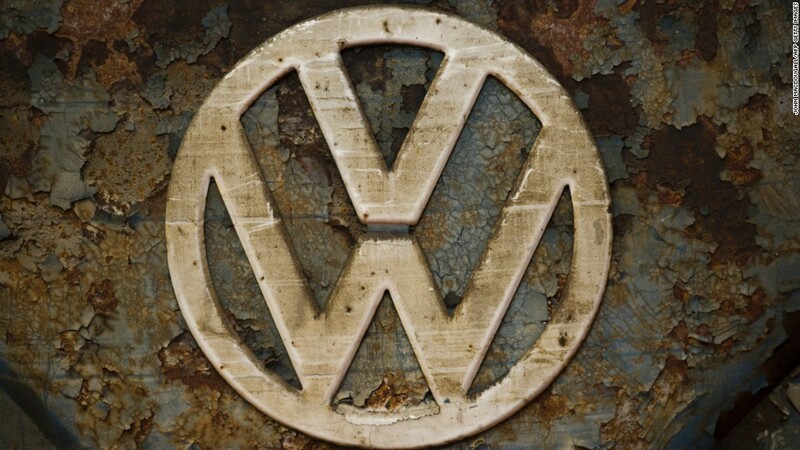 Last month Volkswagen reached an $15 billion settlement with U.S. authorities to settle charges that its diesel cars included software designed to cheat on emissions tests. The deal will require it to repurchase any of the roughly 500,000 non-compliant cars sold in the U.S. from owners who want to turn in their cars, and to pay owners between $5,000 and $10,000 if they would prefer to have their cars fixed. But the company still faces fines for violating U.S. environmental laws. And Tuesday two U.S. state attorneys general filed suit seeking additional penalties. The suit accuses top executives of engaging in a massive fraud for years related to VW's cheating. The automaker has claimed that the deception was the work of only lower level employees, not top executives. The company's brands include luxury automakers Audi, Bentley and Bugatti, performance automakers Porsche and Lamborghini as well as mass market brands Volkswagen and Skoda. While it is not among the top U.S. automakers, it has nearly a quarter of the Western European maker and about 12% of passenger car sales worldwide, putting it just behind Toyota (TM) in global sales last year, and just ahead of General Motors (GM). It's on pace to capture the top spot in global sales this year.